Plot synopsis: A man who discovers the ability to travel through time through the power of thought falls in love with a woman from the past, but is torn because he is already married with children. Based on a short story first published in Cosmopolitan, in December 1935.
Review: More fantasy than science fiction, this time-travel story is about emotions and relationships rather than technology or quantum physics. Yet the more important point to highlight about it is that it isn't very good. Put simply, the episode has not aged well. The fact that the mechanism by which the main character transports himself through time is left vague may be overlooked - again, this isn't 'hard' SF - but the underlying message is harder to swallow. Here I will offer a SPOILER ALERT! The plot centres on a husband intending to commit adultery with a woman he becomes obsessed with from the past - indeed, more than this, he plans to abandon his family to be with her. In itself, this might be a fair basis for a story - after all, people have affairs and marriages break down, so it's perfectly legitimate for works of fiction to focus on characters who cheat on their spouses (whether time travel is involved or not). Yet the problem lies with how the plot is resolved, which essentially entails the wife debasing herself by begging her husband, in quite a piteous way, to stay - and even takes much of the blame for his intended infidelity! Frankly, she should, as soon as she learns what he is planning, just slap him round the face and say good riddance to the arrogant, selfish swine. Even leaving its dated view of marriage (especially the role of women within the institution) aside, there is not much else to recommend about the episode, as the excursions into the past aren't particularly interesting or exciting: there are no clever time paradoxes or anything of this sort. Finally, it is worth noting that there are plenty of better OTR stories that deal with time travel - try instead, for example, the X Minus One episodes A Gun for Dinosaur, The Old Die Rich, Project Mastodon or To the Future. Plot synopsis: An opera about the Toledo War of 1835-6 - 'the first war between the states' - a conflict over territory between Ohio and Michigan. Review: When I began listening to this episode I had no idea that it was going to be an opera. 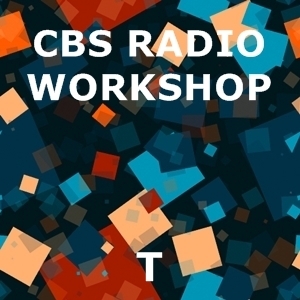 I don't believe I have heard another OTR episode that uses this form, but it certainly fits with the CBS Radio Workshop's reputation for presenting different and unusual fare. Still, the crucial question is, is it any good? At first, I wasn't sure, but as I continued to listen, it grew on me. Neither the music nor the libretto is exceptional, and the story concerns a decidedly obscure episode in US history, which few Americans - and, probably, almost no one else - will have heard of before. Yet the tale of espionage and love across the divide that is told is entertaining and well-presented. I won't be rushing to listen to the episode again, but I'm nonetheless glad to have heard it once.